Compared to other casino games, Roulette is perhaps the simplest game to learn and fully understand. Roulette is a flashy game of French origin, and it attracts many beginners with it’s appealing design. 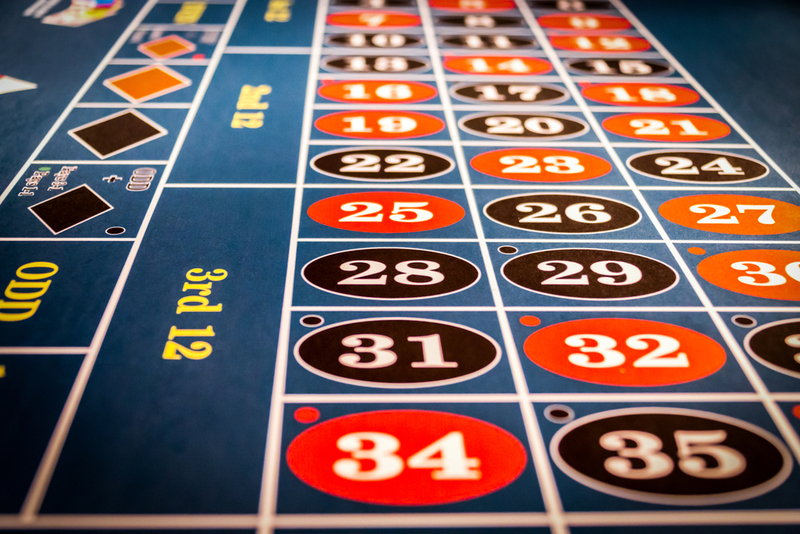 Initially, Roulette may appear complex, but in reality, there are very few Roulette rules that players need to be aware of, making it easy to grasp after a round or so. In order to fully enjoy the experience Roulette has to offer, however, it’s important to understand the structure of the game. With that in mind, let’s go over The components of a typical roulette game. The main feature of Roulette is the large spinning wheel possessing 37 coloured and numbered slots, with 38 slots appearing on American tables. Around the circumference of the wheel is a tilted track. The wheel is capable of spinning, and this feature is key to how Roulette is played. The mechanics of the spinning wheel are consistent in both physical Roulette games, and online UK casino games. The next major component of Roulette is the ball. When the wheel is spun, and the ball is spun in the opposite direction of the wheel within the outer tilted track. After a short time, the ball will fall from the tilted track into the main slots on the table and begin moving between them. Once the ball settles on a slot and the wheel comes to a complete stop, the number and colour of the slot determine who, if anyone, wins. But how do players select their number or colour? Before the wheel and ball are spun, players place their bets by placing chips on a Roulette table. A Roulette table consists of each number that appears on the wheel in its corresponding colour. Additionally, a Roulette table had additional selections a player can bet on as well. Players can opt to bet on a colour, evens or odds, and more. Once bets are placed, the wheel is spun, the ball is rolled along the outer path, and it’s all down to luck. With that in mind, however, there are some beginners tips worth knowing. Although honest luck is a major factor in Roulette, players can improve their chances of making good bets by understanding the odds. Betting on a colour provides a player with a near 50/50 chance of winning, but a lower payout. Betting on the correct number, however, provides a player with a massive 35 to 1 payout. Understandably, betting on the correct number is a very difficult guessing game, and it’s that very guessing game that drives the thrill of playing Roulette. Online UK casinos are the best option if you wish to play Roulette online. This is because the European table actually has fewer slots on it, which improves a player’s odds of making the correct bet. Furthermore, the house edge is notably smaller using the European rule set. One of the most important Roulette tips to keep in mind is that a player can place more than one bet at a time. Because of this, players can spread around their bets among multiple numbers or colours, as long as they remain within the limits of the table. This allows players to make a combination of high-risk bets alongside low-risk bets in order to minimize loss on bad spins and increase profitability on good spins. Making a series of low-risk bets is often the best way to learn the game, followed by spreading your bets around once you’re comfortable with the game and the table you’re at. Although Roulette is heavily luck based, understanding the betting odds and making intelligent bets can stretch your bankroll and provide you with a thrilling experience not found in many other betting games. Give it a try, and with a little luck you’ll hit your number and win it big.